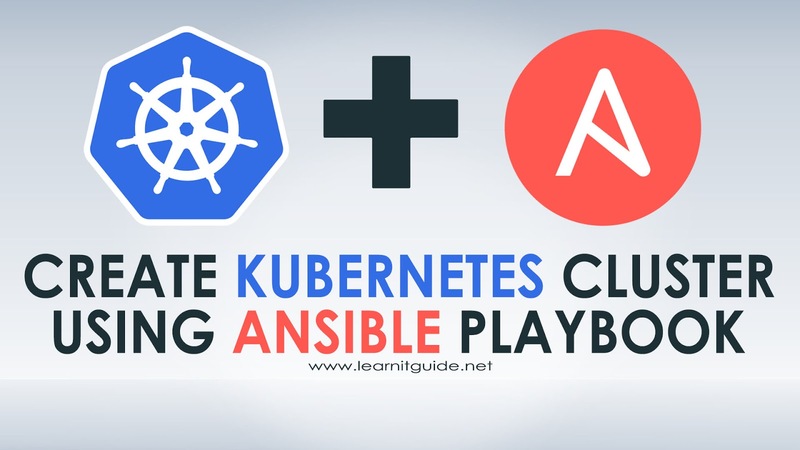 This post gives you an set of Ansible Playbook that would help you to build a Complete Multinode Kubernetes Cluster in an automated way to deploy an containerized application. 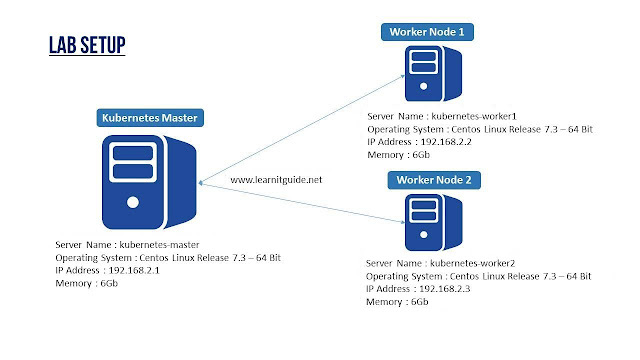 In the previous post, we have given you the step by step procedure to install and configure kubernetes cluster manually on linux servers using kubeadm and kubectl commands. You can also refer these below mentioned related links to understand this topic from basics. These playbooks will work on any physical servers, virtual machines, aws cloud, google cloud or any other cloud servers. 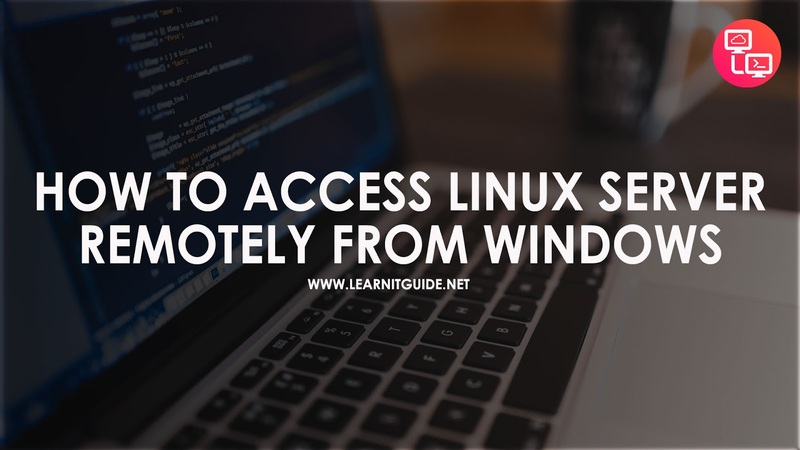 This has been tested and verified on Centos 7.3 64 bit operating systems. We have created these ansible playbooks and stored in our github repository. ansible.cfg - Ansible configuration file created locally. env_variables - Main environment variable file where we have to specify based on our environment. settingup_kubernetes_cluster.yml - Ansible Playbook to perform prerequisites ready, setting up nodes, configure master node. configure_worker_nodes.yml - Ansible Playbook to join worker nodes with master node. clear_k8s_setup.yml - Delete entire configurations from all nodes. playbooks - Its a directory holds all playbooks. Once your servers are ready (one master node and multiple worker nodes), follow these below instructions. 1. Make an entry of your each hosts in /etc/hosts file for name resolution. 2. Make sure kubernetes master node and other worker nodes are reachable between each other. 3. Internet connection must be enabled in all nodes, required packages will be downloaded from kubernetes official yum repository. 4. Clone this repository into your master node. once it is cloned, get into the directory. 5. Edit a file "hosts" available in "centos" directory, Just make your entries of your all kubernetes nodes along with respective ip address. 6. Edit a file "env_variables" available in "centos" directory and provide your server details like advertise address ip and cidr range values. Dont edit any other values in this file. 7. Deploy the ssh key from master node to other nodes for password less authentication to run ansible playbooks. 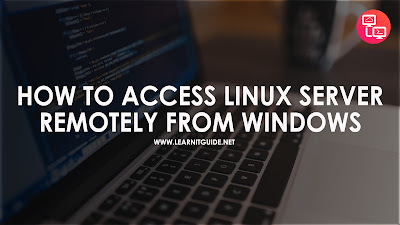 Generate a SSH Key pair using ssh-keygen as below. 8. 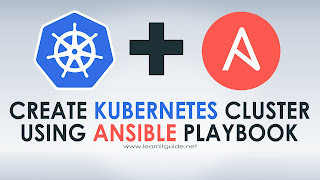 Setting up Kubernetes Cluster Nodes using Ansible Playbook. There is a playbook called "settingup_kubernetes_cluster.yml" to setup all nodes and kubernetes master configuration. Just run this playbook using ansible-playbook command first. Run "join_kubernetes_workers_nodes.yml" playbook to join the worker nodes with kubernetes master node once "settingup_kubernetes_cluster.yml" playbook tasks are completed. Verify the configuration from master node. That's it, we have successfully configured our kubernetes cluster setup using ansible playbook. you can now try deploying some applications to make sure everything is working fine. 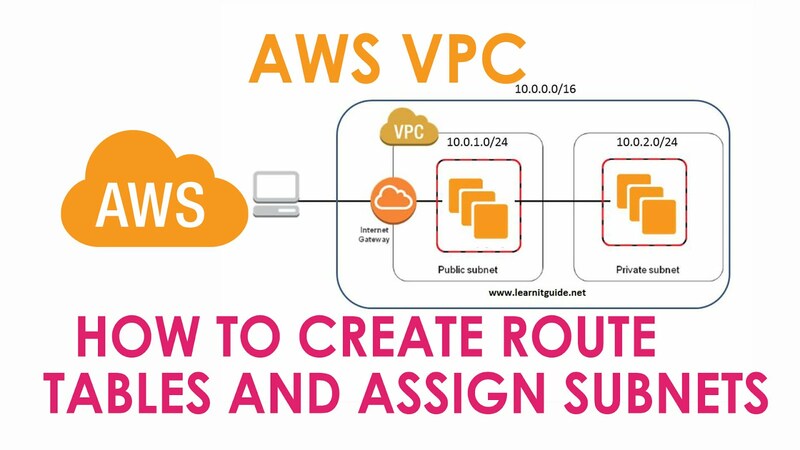 In this post, we will provide you the step by step procedure of how to create route tables and assign subnets in AWS. A route table contains a set of rules, called routes, that are used to determine where network traffic is directed. To make you understand better, lets have a sample VPC architecture as shown in below image as our requirement. 1 Internet Gateway attached to Public Subnet. How to create a New VPC? How to create Internet Gateway and attach to newly created VPC? How to create Public Subnet and Private Subnet? How to create Route Tables for Public and Private Subnet? How to edit Route Tables? How to add Internet Gateway route to Public Route Table? 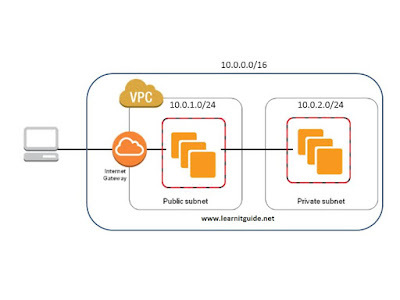 How to Associate Public and Private Subnets to respective Route Tables? Note : In order to create and manage any AWS Services, we must have some valid users created with IAM policy defined. Else you wont have a access to these AWS services. Login into AWS Management Console. I have created my VPC in US East (N. Virginia) region, So, make sure you are in the right region. Go to "Services", type "VPC" in the search box and select the VPC from the search result. Go to "Route Tables" section from the left side panel. By default, one route table is created and attached to VPC. Let's modify the tag name, attach the Internet Gateway to this route table and add the public subnet to it. Select the route table, pull down "actions" button and select "Add/Edit tags". Enter the Key "Name" and Value "Public RT". Go to "Routes" section and click "Edit routes". Click "Add Route" and Enter the Destination and Target your VPC as below and "Save Routes". Again select the "Public RT" route table and go to "Subnet Associations". Click "Edit Subnet Associations", mark only the correct "Public Subnet" which we have created and click "Save". Now click "Create Route Table". Enter the name and attach the VPC. Select the Private Route Table now and go to Subnet Association section. Click "Edit Subnet Associations". Mark the correct private subnet this time and click save. That's it for this post, hope you have got an idea on the below topics. 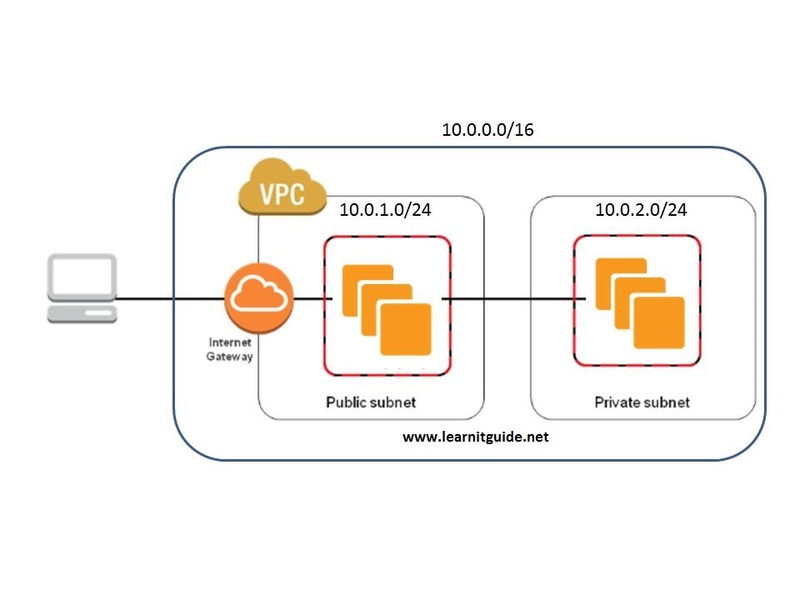 To protect the AWS resources in each subnet, We can use multiple layers of security, including security groups and network access control lists (ACL).